When you turn on the Optimizer, QODBC will bring some data to a local cache file (the optimizer file) to increase retrieval performance for queries. 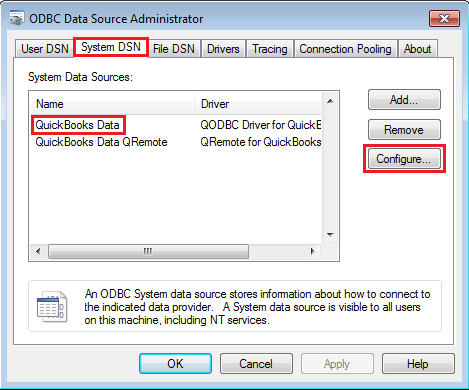 When you access any table, QODBC will gather data from QuickBooks and will store it in Optimizer file. 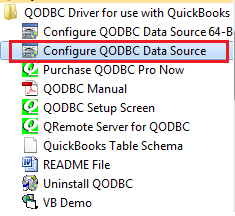 Next time when you query the same table, QODBC will request differential records which are added, modified and deleted from QuickBooks and will sync it to Optimizer file. This way QODBC will have to only get the differential records instead of entire data set from QuickBooks. As a result, you will notice performance gain when compared to working without Optimizer. When should I remove/delete the Optimizer file? What happens if I continue to use corrupted Optimizer file? 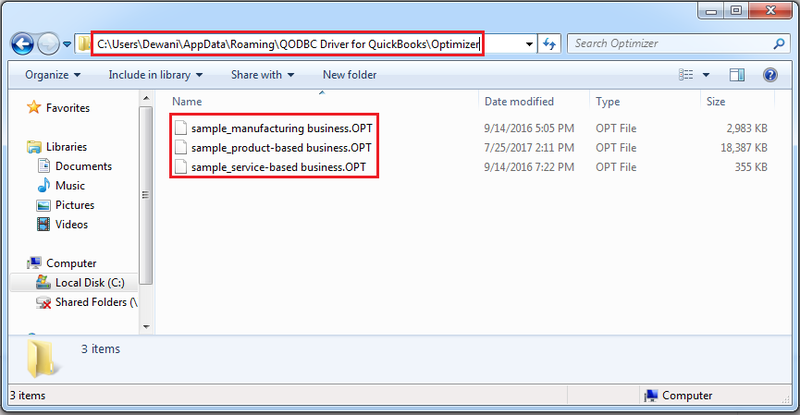 If you keep using the corrupted file, QODBC will not be able to update the optimizer file; as a result, you may notice slowness while retrieving data from QuickBooks. QODBC will have to get all the data whenever you perform any query on a table. 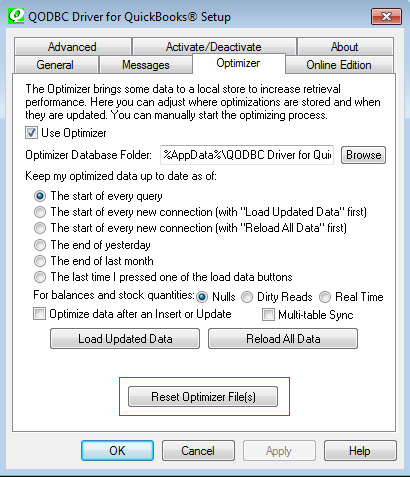 Follow below steps for removing/deleting optimizer file. Click Yes to delete all the Optimizer files. Please refer How to Find Optimizer File/Where is Optimizer File Located and delete the file manually.